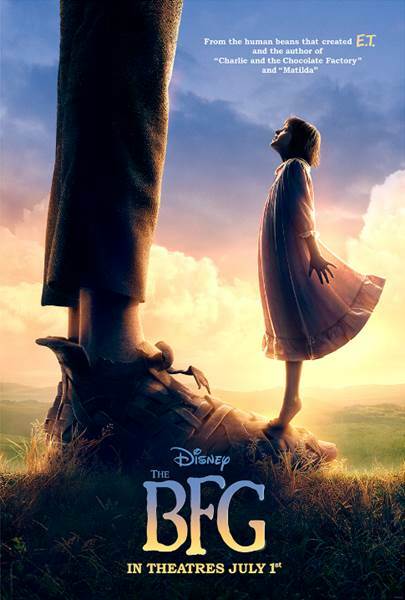 Disney's Bringing the Children's Classic "The BFG" to the Big Screen this Summer! Disclosure: This post contains affiliate links, which means if you click on one of the product links, I’ll receive a small percentage. It looks like Disney is about to bring the happy memories of many children to the big screen. If you read the Roald Dahl classic "The BFG" then you are in for a treat this Summer. From the human beans that created E.T. and the author of "Charlie and the Chocolate Factory" and "Matilda," Disney's "The BFG" opens in U.S. theaters on July 1, 2016, the year that happens to mark the 100th anniversary of Dahl’s birth. With this generation being so glued to technology, reading is becoming less and less exciting for today's kids. It is actually really upsetting to me because I grew up absolutely loving to read and I really want to share that love with my kids. So when my oldest daughter came to me the other day so excited about the new movie "The BFG," I knew what I had to do, order the book! Roald Dahl’s “The BFG” (Big Friendly Giant) was first published in 1982 and has been enchanting readers of all ages ever since. Dahl’s books, which also include “Charlie and the Chocolate Factory,” “James and the Giant Peach” and “Matilda,” are currently available in 58 languages and have sold over 200 million copies worldwide. Originally created as a bedtime story, “The BFG” was Dahl’s own favorite of all his stories. Have you seen the trailer yet? Check it out below. Tell me: Have you read Roald Dahl's The BFG?